What does the future hold for the wedding industry? As our lives become increasingly digitalised, many retailers are following suit and making their services available online. But what does this mean for the wedding industry? An industry that is traditionally a very physical process. With brides needing to try on their wedding gowns before they buy, grooms having several suit fittings and booking a tasting session at your proposed venue. But with new technologies and social media apps, is it time for the wedding industry to make a transition into the digital world? To put into perspective how popular online sales have become – it was recently reported that approximately 87% of UK consumers have made an online purchase. With digital sales up 21.3% on 2016 and no signs of slowing, will wedding suppliers have to reassess their business models? Wedding lovers and retailers of trilogy engagement rings, Angelic Diamonds, are at hand to discuss the issue. More and more companies are taking the digital plunge as they realise that consumers are happy shopping in the comfort of their own homes. Should wedding suppliers be following suit? New technology and shopping habits has already had an influence on the industry. With social media apps such as Pinterest, Instagram and Facebook, brides and grooms can find so much inspiration for their big day with just a few clicks. Modern couples are now using new technology when wedding planning. In fact, 42% of people use social media to plan their wedding – with 41% of brides following photographers on social media, 37% of brides following venues and 14% following florists. Times have changed since shopping through our laptops and computers too - according to The Huffington Post, around 6 out of 10 brides are actively planning their weddings through their mobile device: they research gowns (61% of brides, up from 27% in 2011) and search for wedding vendors (57% of brides, up from 22% in 2011). 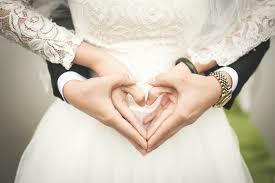 Couples are turning to social media for wedding inspiration now, instead of magazines as they might’ve done previously. The apps provide a platform for wedding planners, venues, florists and other wedding suppliers to showcase what they have to offer. Instagram and Pinterest, which is used by 64% of brides, have now become a couple’s go to platform for all their inspiration, a digital alternative to a wedding fair. Suppliers who have not yet invested time into creating a social media profile for their business could be missing out on free exposure. Social media is playing a role in the actual big day too with 27% of modern couples saying that they would create a hashtag for their special day. Should wedding suppliers go digital? Fortunately for the wedding industry, it appears that they will remain profitable outside of the digital world. Whilst it is likely that companies will need to go digital at some stage to stay up to date with the latest technologies, and keep their head in the game, there might always be a place for them offline within the industry. As newlyweds will be familiar with, wedding planning involves a lot of meetings with different suppliers and physical processes which can be tiring but are more than necessary. Wedding fairs have been around for centuries, and there is a reason for that; whilst modern couples use social media for visual inspiration, wedding fairs are still a great way for suppliers to engage face-to-face with potential customers. For most people, their wedding day is the biggest day of their lives so it’s important that they can speak face-to-face with suppliers, and physically see what they have to offer. Currently, there is no escaping the use of digital platforms – and this trend looks like its set to continue. In terms of wedding suppliers, they won’t be able to escape this trend either and should embrace it with open arms. 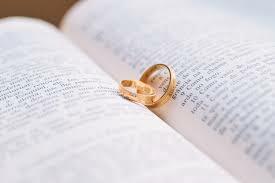 However, the industry is not yet ready to wipe out all traditional methods of wedding planning. There’s no question that there is still a demand for the physical processes. Maybe, it’s just time for suppliers and other industry professionals to use digital as a means to extend their business and gain more exposure.